Address: 424038, Republic Mariy-El, Yoshkar-Ola, Voinov Internationalistov st., 2 "Б"
Zapovednik Bolshaya Kokshaga is situated in Kilemarsky and Medvedsky Districts of the Republic of Mariy-El. 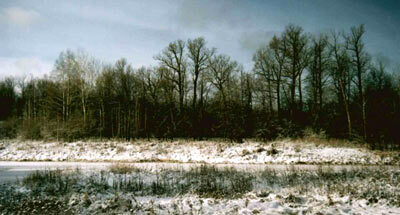 The Zapovednik was founded in 1993. Its area is 21,4 thousand ha. 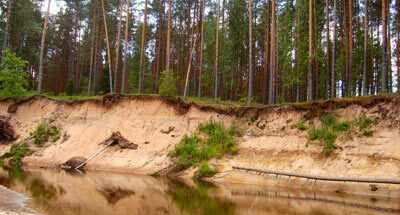 The Zapovednik is located on along the sides of the river Bolshaya Kokshaga — the left tributary of the river Volga. The relief consists of dune-hills and rolling, slightly separated, valleys. The mouth of river Bolshaya Kokshaga is marshy. The Zapovednik is located on the border of southern taiga and broad-leaved forests. In the plant cover of the area pine forests prevail (with lichen, polytrich, bilberry and bog moss); great areas are occupied by birch forests. Along the Bolshaya Kokshaga oak-lime forests with elm trees grow. Sometimes black alder forests can be met; spruce forests are more rare. Flora extends over more than 600 vascular plant species; fauna is typical for similar forest. There are noted: 200 birds species, 52 mammal species, 16 reptile species, 25 fish species. Elk, alpine hare and squirrel are numerous; wild boar live on the territory. Of predators the most well known are the marten, lesser weasel, fitchew, and common weasel; brown bear and wolf are met. Of bird species wood grouse and black grouse are common. Crane, common heron, eagle owl, sparrow hawk nest in the Zapovednik. Of rare birds there are noted: black stork, serpent eagle, peregrine falcon, fish hawk. 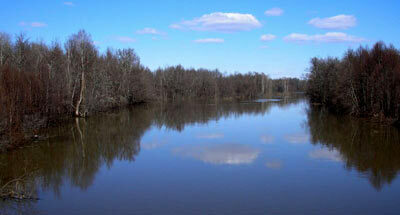 In rivers and lakes there are pike, river darter, roach, zope, tenth, etc.